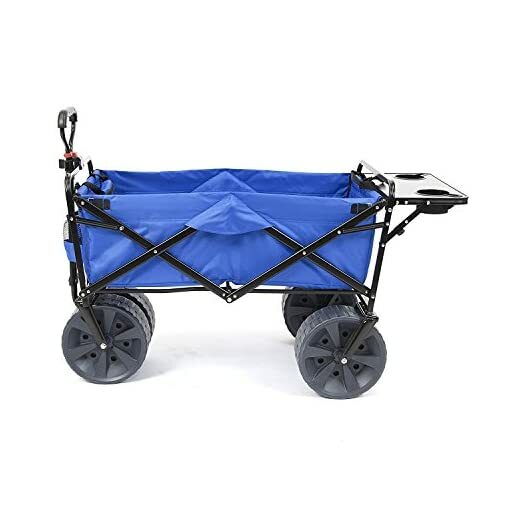 Check out the cool new feature on our popular All-Terrain Wagon! 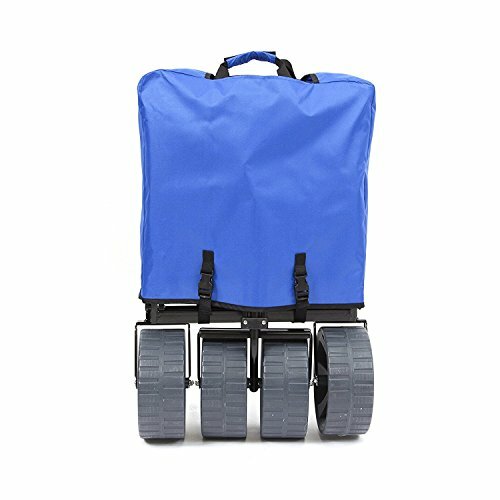 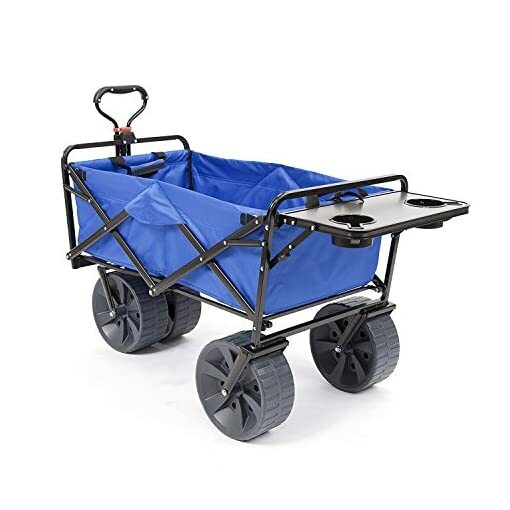 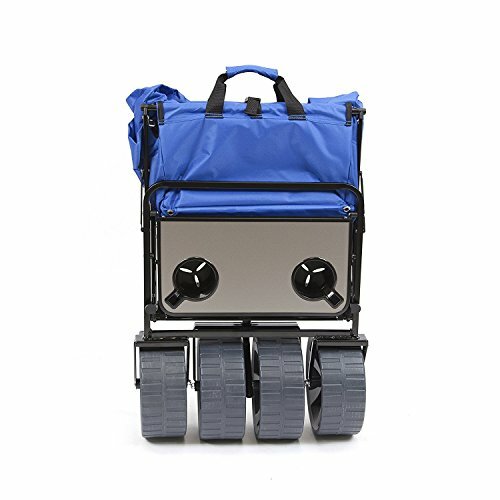 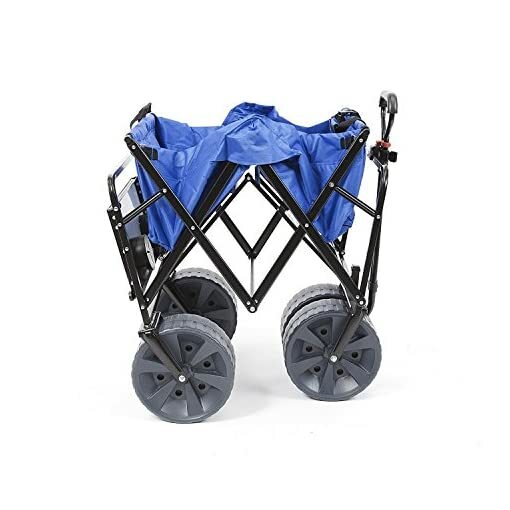 Huge, rugged wheels, sturdy steel construction, 150lb capacity (50lb in deep sand), and roomy interior make this the perfect wagon for beach, camping, picnics, road trips, and backyard duty. 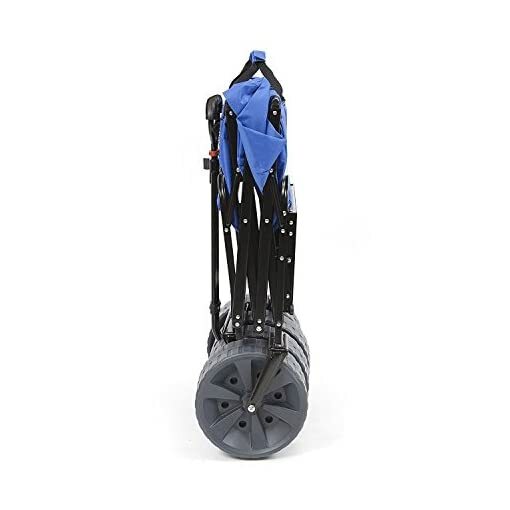 The small profile when collapsed down means you can store it anywhere between uses, even your trunk, without getting in the way. 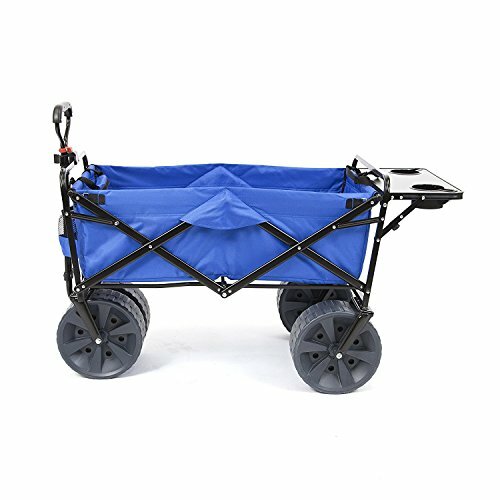 The new folding table flips up easily and sports two recessed cup holders to keep your drinks from spilling. 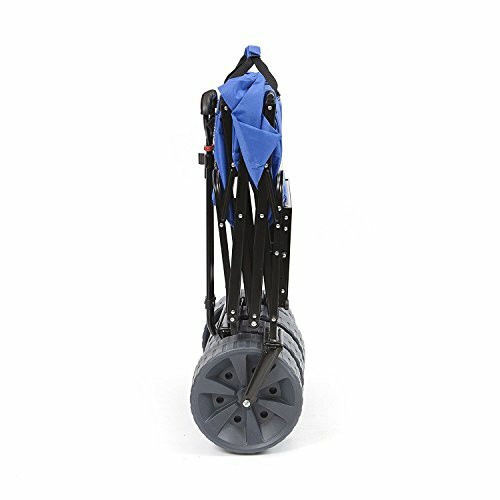 When you’re done with refreshments, it folds out of the way just as easily. Ready to use out of the box, no assembly required! 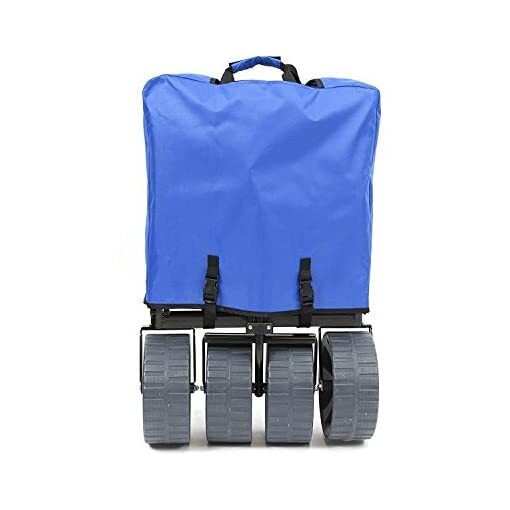 Simply unpack, unfold, and get rolling!